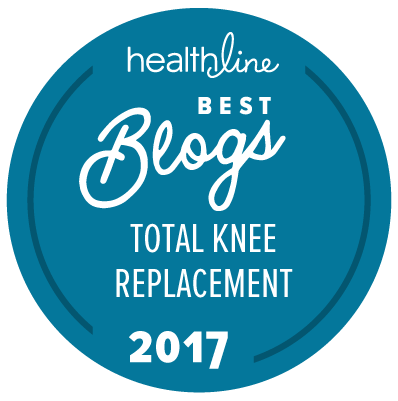 When I first approached a surgeon about having a tkr (total knee replacement), cortisone was recommended as an alternative. The recommendation was having one every three months to ease the pain and stiffness. The results were immediate. I walked out of the doctor’s office without any pain or difficulties. I was happy as a clam in mud. That is, until two weeks later when the cortisone wore off. At that point, I was back where I started. What used to provide some level of relief, suddenly does not. Since I do not take any prescription medications, I used over-the-counter remedies. They became a waste of money as my knee cartilage disappeared. This can happen anywhere, any time. The pain is unbearable. Sometimes it took a few minutes to “get back to normal”, other times it took 10-20 minutes. The above reason is why I started carrying crutches with me everywhere. You may find a cane is easier. Whatever the device, extra precaution is part of everyday life. Excessive pain in everyday movements. Everyday movements include walking, sitting, standing, and laying. No longer do I take crossing legs for granted. Do you find yourself looking at people with their legs crossed, admiring the fact they can do it? It may be time to take action. Need assistance getting in and out of chairs. Assistance can be another person, a chair arm, or a mobility-impaired recliner. Whatever it is, using your leg the usual way will become difficult. This is a common behavior. My “good” leg is able to do everything the ”normal” way, so why not take advantage of that? I found myself putting all my weight on my undamaged leg. This leads to further damage. Ah, stairs. Instead of viewing stairs as exercise, suddenly they turned into torture devices. I was always on the lookout for alternatives. Alternatives included elevators and/or escalators. Whenever I did use stairs, a railing was necessary. And, it was not a pretty site. Do you find yourself having to adjust your body before moving? You may have to realign your spine, wait for your knee to get in place, and/or do some stretching. Whatever it is, getting up and going is not an easy task. Well, that’s all I can think of for know. Hopefully, you have found something useful to aid your decision-making process. The site is owned and operated by Marie Buckner, a published author and tkr patient who has been living with various physicalities for over 35+ years. She enjoys sharing her experiences to help others going through the same thing. I am 4 weeks out of TKR. I had lots of swelling and bruising. Lots has gone, but plenty remains. Not only was there severe arthritis, multiple tears and issues from two prior surgeries. I am walking with a walker and crutches. Not driving yet. Did two weeks of home rehab and just started out patient rehab. I guess I think I should be farther along in this by now! I can dress myself except one shoe and sock and shower and use bathroom unassisted. Thanks for stopping by and leaving your tkr comment. You sound like you are progressing well. In fact, you’re doing better than I was at your tkr recuperation stage. It is a long, arduous process for sure. Hang in there and keep working. It will pay off. Stay in touch and best of luck to you! I’m having TKR 12/2017 I am dreading the day. I have had 47 years of pain and all that comes with it. I blew out my knee at 13 years of age playing touch football. Every ligament except PCL was torn both medial/lateral meniscus torn. 1970 my Dad was advised to not pursue surgery for my injuries. By 1993 I couldn’t take the pain and swelling from re-injuries and had ACL reconstruction with many repairs. This was the most agonizing surgery and 12 months of sheer hell in recovery I have ever been through. I was told then by age 50 my knee would need to be replaced. Here I am at 60 facing TKR. My knee is starting to lock up and constantly rubs bone on bone. The last cortisone injection did absolutely nothing for the pain and swelling. I’m so dreading this but I looked at all options offered the only procedure to help is TKR. Stability is good but cartilage is almost gone. I’m petrified. Any encouragement is greatly appreciated. Thank you. Thanks for visiting and taking the time to post your tkr comment. It’s understandable to be scared about having surgery. I was in the same situation you are in and never regret a moment of having the surgery. Suggestion: You need to change your attitude to succeed. Stop dreading and be grateful for the opportunity to improve your daily functioning.It’ll be a long road to recovery, but so worth it – if you have the proper attitude, determination, and drive. Thank you. I have had progressively worsening pain for the last 3 years. I was set against a knee replacement because I really want to join the peace corps and thought that would make me not a candidate. I have received cortisone shots, gel shots, had acupuncture, physical therapy and anti inflammatory medications. Over the past 6 months, my daily life has been significantly impacted by this. Stairs are a nightmare, any incline is horrible, my knee locks up at times, I definitely favor my “good leg”. I am in the process of scheduling my surgery for this summer! I can’t wait now! I have just been referred to a DO to discuss TKR for my right knee. Had cortisone injections in both knees six weeks ago. My left knee, which looks worse on the X-rays, responded well. My right just got worse. Using a cane now, every step feels like a stab in the knee, some places are sore to the touch. Glad my insurance didn’t mess around and referred me directly on failure of this treatment. Looking forward to this process. I know there will be painful PT, but I’m doing that now with no prospect of improvement. Let’s hope this reply goes through. The others have not. Anyways, thanks for visiting my site and taking the time to leave your comment. I also sent you a private email. Glad to hear you reached the difficult decision of having a total knee replacement. If you are like me, it will improve your life quality. Also, are you aware that I have written a popular tkr pre-op ebook titled “Patient’s Perspective On Preparing For A TKR”? This PDF-formatted ebook contains information not found in standard industry literature. I went through the entire pre-op process TWICE for the same surgery.